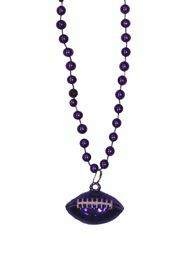 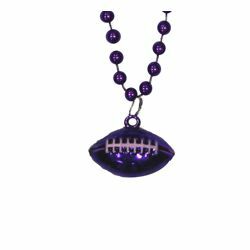 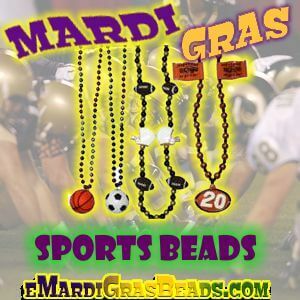 Mardi Gras Sport Beads for Baseball, Basketball, Football, and Soccer. 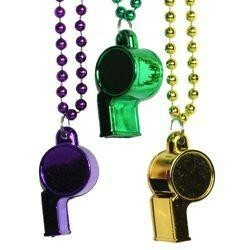 Bring your favorite sport to Mardi Gras. 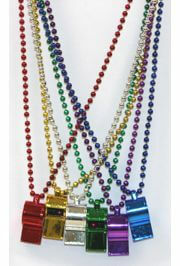 We have Mardi Gras beads that represent Baseball, Basketball, Boxing, Football, Golf, Hockey, Racing, and Soccer. 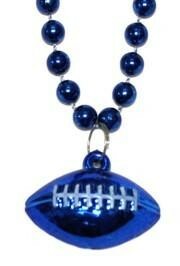 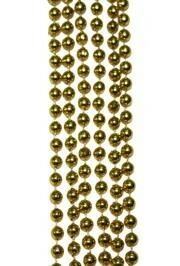 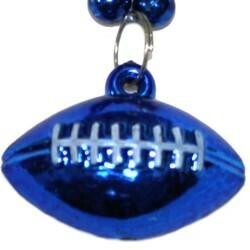 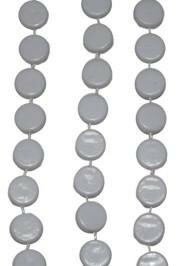 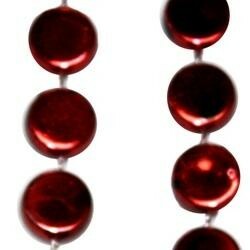 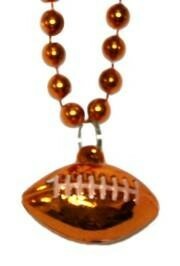 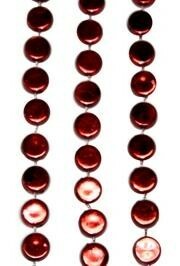 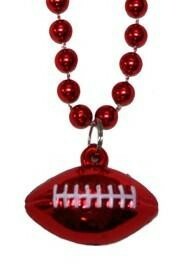 While these sports beads are great for parade throws, they can also be used for decorations at team parties. 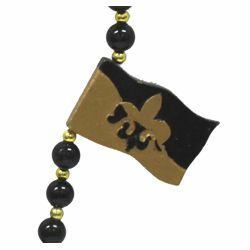 Support your favorites by choosing their team colors. 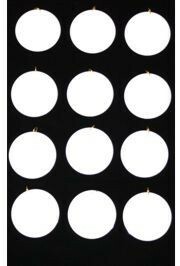 |< << 1 2 3 >> >| Displaying 1 to 20 of 51 Items Found. 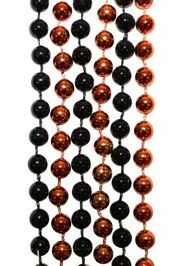 A pack of mixed clear coat black and metallic orange Mardi Gras beads. 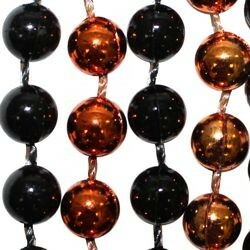 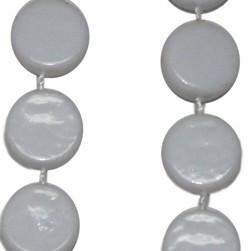 These beads are perfect for Mardi Gras parades and Halloween celebrations. 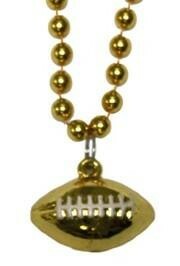 These 33in beads are great for Saints parties. 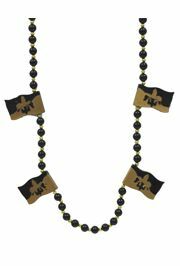 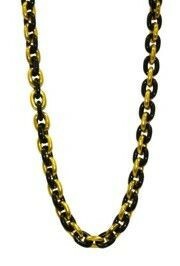 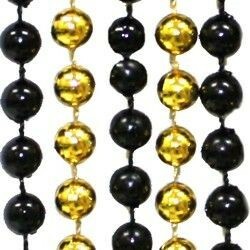 Celebrate your Mardi Gras event with black and gold beads. 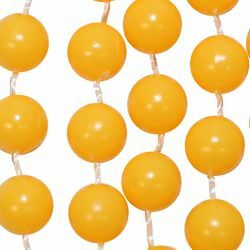 At 33in these round Yellow Beads bring color to the party. 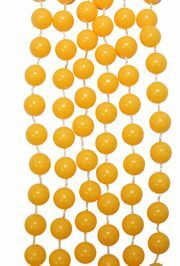 Yellow beads work year round for Halloween, Thanksgiving, Easter, and of course Mardi Gras. 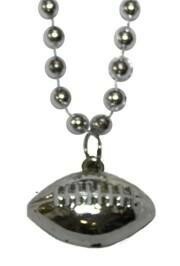 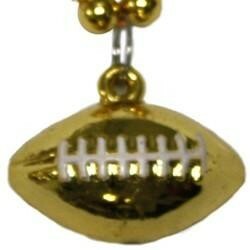 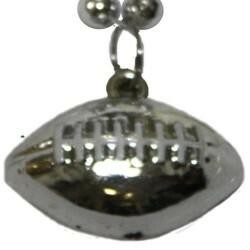 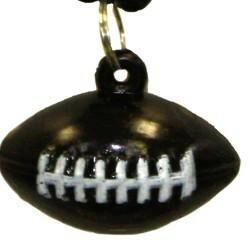 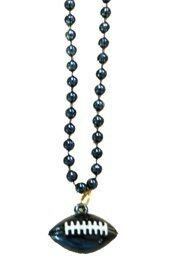 A 1.5" Football Medallion hangs on a matching set of black beads. 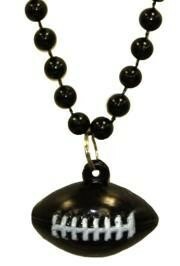 This is a 33in machine strung bead with a Black Clear Coat. 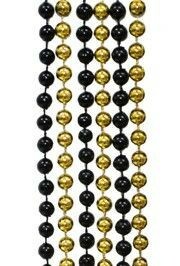 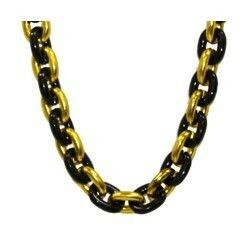 These are great for any parade or black and gold party. 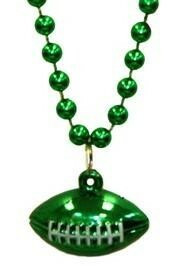 Everyone loves green Mardi Gras beads with a green football medallion. 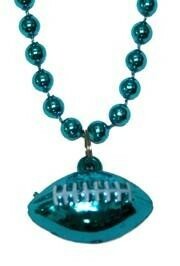 Tulane fans will love this green 33in bead with a matching 1.5" football medallion. 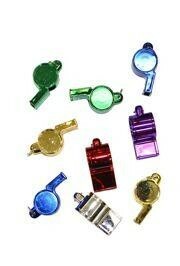 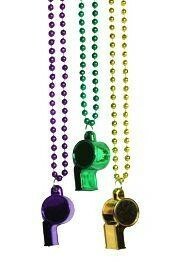 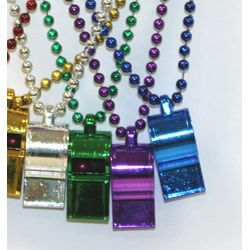 These are great for any Mardi Gras parade.